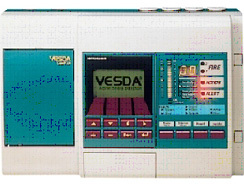 [VESDA: VLF-250 & VLF -500] The VESDA VLF-250 detector is a very early warning smoke detector designed to protect small, business-critical environments of less than 250 m2 (2500 sq. ft.). The detector works by continually drawing air into sampling holes in a pipe network. The air is fi ltered and passed into a detection chamber where light scattering technology detects the presence of very small amounts of smoke. Detector status information is communicated on the detector display and via relays or optional interface cards. The Intelligent FAAST Fire Alarm Aspiration Sensing Technology® series is the prodigy of the aspirating smoke detection world. The only aspirating smoke detector that can integrate directly to NOTIFIER’s Onyx Series fire alarm control panels, Intelligent FAAST connects to the fire system signaling loop just like any other detection device. These unique capabilities simplify installation and ​management, reduce cost and complexity, and make aspirating smoke detection a more valuable investment over time. 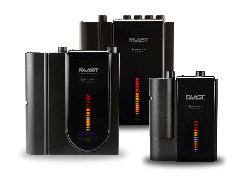 FAAST series of detectors deliver highly accurate Standard Detection, Early Warning Fire Detection, and Very Early Warning Fire Detection that meets the needs of a variety of environments, including mission-critical facilities like data centers where downtime from smoke or fires can be incredibly costly. All FAAST detectors come standard with Modbus connectivity for integration with building management systems. Read below to learn why Intelligent FAAST is the intelligent choice for any environment.